Over a 20 year career as Head of the Wigs and Make-up Department at The Birmingham REP Theatre, Andrew Whiteoak has created wig, hair and make-up designs for hundreds of productions including ‘Harvey’, ‘The Witches’, ‘The Wizard of Oz’, ‘The Rocky Horror 25th Anniversary’, ‘The Snowman’, ‘12 Angry Men’ and ‘Of Mice and Men’ to name only a few. In December 2014 Andrew moved on from The REP to become a freelance wigmaker, hairdresser and make-up artist. Projects to date include hair and wigmaking work on a number of theatre shows including ‘Horrible Histories’, ‘Gangsta Granny’, ‘The Boy in the Striped Pyjamas’ and T’he Lion, The Witch and the Wardrobe’. Most notably this year has allowed him to move into TV and feature films, which have included hair and wigmaking on Disney’s ‘Beauty and The Beast’ with Dave and Lou Elsey, dailies hair and make-up work on ITV’s new drama ‘Jericho’ (due to air in 2016), ‘Downton Abbey’ (series 6 Christmas Special) and prosthetic make-up work on ITV / FOX studios’ ‘Houdini and Doyle’. 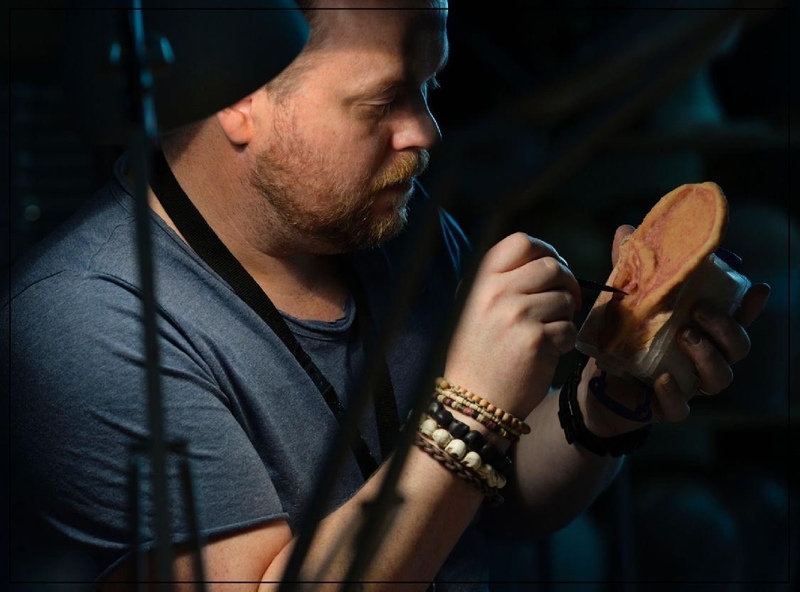 As an experienced lecturer, Andrew likes to keep an active role in the education and promotion of make-up, wig making and the arts.